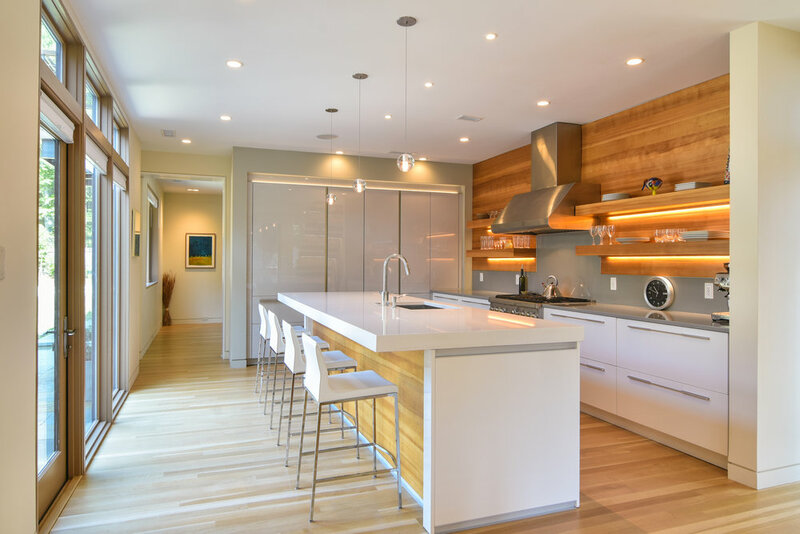 Design goals for this residence included simple lines, livable spaces and sustainability. Thoughtful and exacting decisions were made collectively with the client, architect and builder. Materials include warm woods, stucco and glass.